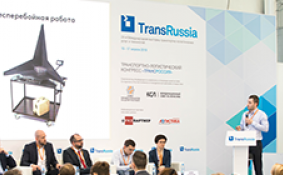 We continue the theme of transport logistics, which remains the main one on the eve of the TransRussia 2019 exhibition. We remind you that our stand is D623B. We will be happy to see you! In the fourth issue we inform about the main events of the past month. We sum up the results of the conference “Freight trucking – 2019: challenges and opportunities”. A special place in the exhibition program was allocated for discussing the passport of the project for the implementation of an automatic weight-dimensional control system. Here is the fifth issue of the Russian Logistics Journal – 2019. We selected the best articles from the “LOGISTICS” journal and published in this issue. The articles presented in the Digest reflect the level of development of logistics in Russia, which is very important for companies planning to enter the Russian market. In 2019 in accordance with our traditions we release the first issue on the eve of the Moscow International Logistics Forum (MFF). This is an important meeting of industry professionals, where the results of the past year are discussed, development plans for the near future are made. - description of a particular company’s activity. The cost of placing the advertising and informational articles with illustrations is 490 euro per one page. Placement of Ads under the Heading "Important Contacts"
Advertisement under the heading "Important Contacts" involves placing the logo and brief information about the company (up to 60 words). Cost of annual placement – 390 euro. Making the original layout of the format required accounts for 10% of the cost of the advertising module. Help is administered by Advertising Department phone: (499) 157-51-21. 1. File in TIF, EPS format or in any other raster format, of the actual size (1:1) with a resolution of 300 dpi and in CMYK color model. In no case you should not apply the JPG algorithm in the EPS-files. 2. File in Adobe Illustrator format (up to Adobe CS6 version inclusive) and CorelDraw! (up to version of CorelDraw! X6 inclusive). In this case, all fonts must be converted to “curves” (Create outlines), and all the colors - in CMYK model. If you are using raster illustrations inside the file, they should also be in the CMYK color model and introduced into the “body” of the file. 3. The makeup of the ad module in any of the programs listed (QuarkXPress 5.0, 6.0; PageMaker 6.5; The InDesign( up to Adobe CS6 inclusive). 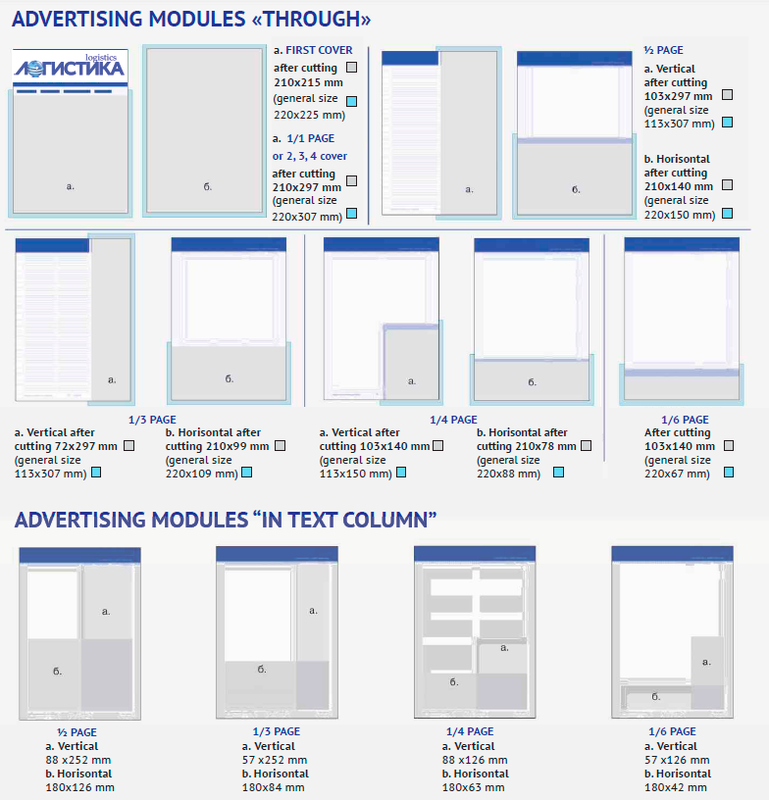 Publication/makeup of the advertising module must be collected in Collect (“Pack” command in the “File” menu ) that is, with illustrations and all the fonts (BitMap, PostScript components of the font). 5. It is UNDESIRABLE to send the advertising modules in JPG format, information about the illustrations in the specified format is saved with losses). Or they must be recorded in 1:1 size and with a resolution of at least 300 dpi. 1. The article submitted by the author to the journal must meet its thematic profile and be original in content. In other words, the article should not repeat already known information published in domestic or foreign press. The article can give the analysis of the materials published, but completely new information should be the basis of the content. 2. The article should be supplemented with a foreword (given below the tile), where the essence of the publication, revealing the title and the novelty of the author’s approaches is identified in brief (no more than 300 characters. 3. It is desirable that the volume of the article be of no more than 8 thousand printed characters and have no more than 2 illustrations. 4. The author of scientific articles should avoid using formulas and verbal describing the relationships obtained or being used, if it’s possible. All rights reserved by LLC Market Guide Agency.